The macula is the central part of the retina which is responsible for enabling fine detail to be discerned. 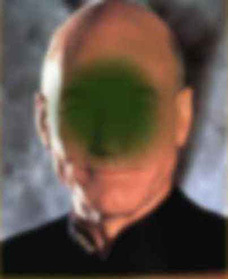 The remainder of the retina enables 'peripheral vision' only. Without the use of the macula, tasks like reading small print and recognising faces become difficult or impossible. 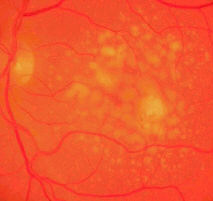 The macula contains a yellow pigment (hence the term macula lutea). There are two main types of ARMD often termed 'Dry ARMD' and 'Wet ARMD'. The pathological process is different between the two. 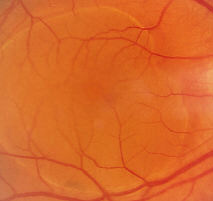 In the wet form, there is a proliferation of abnormal blood vessels under the macula. In dry ARMD, there is the collection of small yellow deposits within the retina called drusen, and degeneration (atrophy) of the retinal tissue at the macula. The dry form is more common, but the wet form is usually more sudden and devastating to the vision. 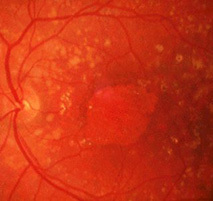 The paler elevated area at the macula represents the area where the retina is elevated, under which there is an abnormal 'membrane' due to abnormal proliferation of blood vessels. For a very small percentage of 'wet' ARMD cases, a treatment called 'Photo Dynamic Therapy' (PDT) may be used to reduce the risk of further visual deterioration. There is now a NICE approved treatment for wet ARMD called LUCENTIS. This is known as an 'Anti-VEGF' agent. VEGF is an acronym and stands for Vascular Endothelial Growth Factor. Lucentis is able to reduce the proliferation of the abnormal blood vessels that grow under the retina in wet ARMD. 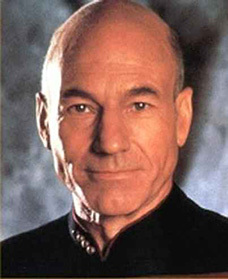 The drug is administered by injetion into the eye. A minimum of 3 injections are required, with the average number of injections required being 7.